We are a leading Manufacturer of wire galvanizing plant and pickling plant from Faridabad, India. We at Continental Furnaces are profound manufacturer, supplier and exporter of Wire Galvanizing Plant as per the demands of our esteemed clients. Offering Wire Galvanizing Plant, it is suitable for making nets and networks for winding, baling, hanging, hauling or as overhead wires. Our products have good pliability along with an excellent tensile strength. They are break resistance and have anti-corrosion qualities inherent in them. The wires are coated with a thick layer of pure zinc. One can be sure that our products quality will not change and no flaking off of zinc coating will happen even after long and repeated uses. We are engaged in offering quality range of Pickling Plant as per the demands of our esteemed clients. Our range is fabricated using high grade raw material. Our range of Pickling Plant are made of premium quality material that makes it completely rust proof and chemical resistant. 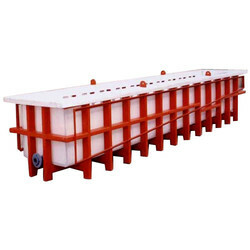 These tanks are manufactured as per the Indian standards and ensure international quality standard. This ensures high performance and reliable product at clients end. We design and supply Pickling Plants for SS Wire Rod Coils, Coating & Decoating Tanks & Baking Oven.